The madness begins in late October when New York City’s busy streets fill with tourists from across the globe who travel to the Big Apple for shopping and merriment. The holiday season officially kicks off with Macy’s Thanksgiving Day Parade in late November and ends when the ball drops at midnight on New Years Eve in Times Square. During this time, the city swells, ponds give way to ice skating rinks and Starbucks brews gingerbread and eggnog lattes served in seasonal red cups. It’s the most wonderful time of the year. When I think of Bing Crosby’s cherished Christmas classic, Silver Bells, it conjures up the notion of pleasantness and kindness. “City sidewalks, busy sidewalks. Dressed in holiday style. In the air there’s a feeling of Christmas (Children laughing, People passing, Meeting smile after smile) and on every street corner you’ll hear Silver bells, (Silver bells) Silver bells, (Silver bells). I never want to discount Bing but my take on the song differs greatly now that I have lived in New York City during the holidays. “People pushing, people shoving, dressed in concert grunge style. In the air there’s a feeling of Annoyance. (Tourists laughing, locals crying, Meeting because there is no place to move. And on every street corner you hear people swearing. 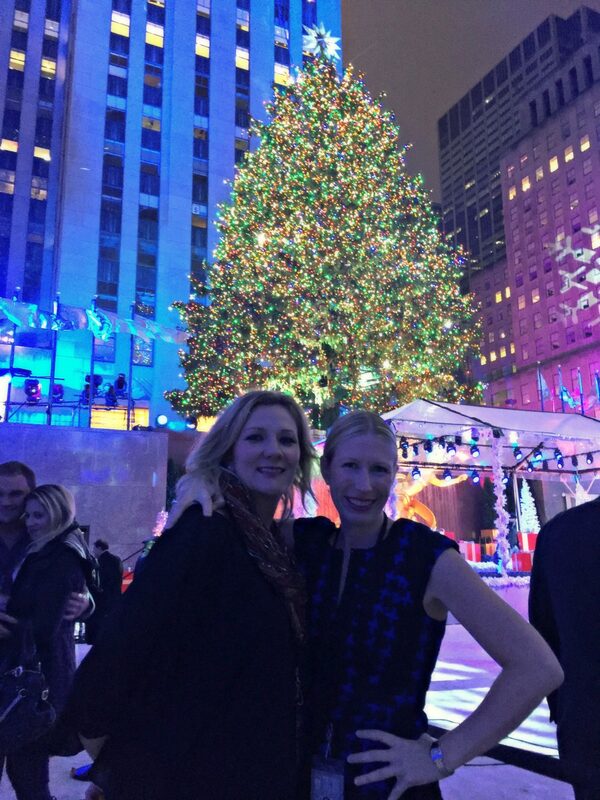 In spite of the crowds and the chaos, the holidays in New York City are a special time. The buildings beam with colors of orange and brown for Thanksgiving and turn quickly to red and green for Christmas and blue and silver for Hanukkah. 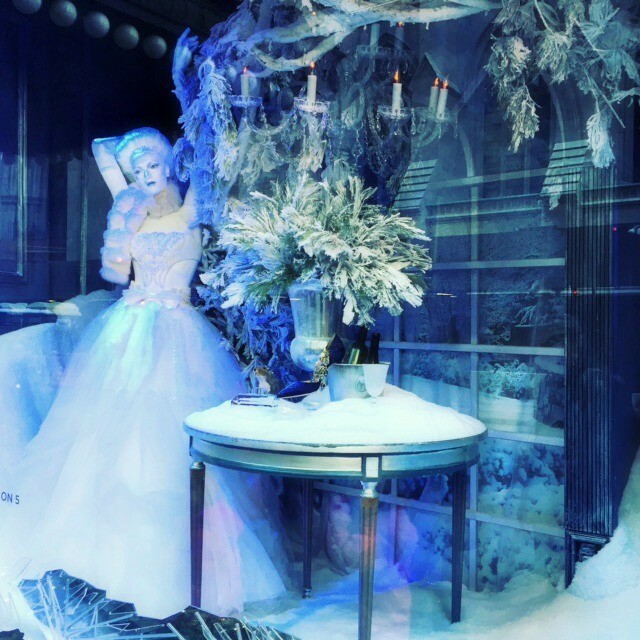 Retailers decorate their windows with festive merchandise, while Bloomingdales, Saks and Macy’s showcase time-honored stories for people to enjoy. The top of the Empire State and the Helmsley building get into the action nightly when their boring facades give way to dazzling colorful lights and along 5th Avenue stars adorn lampposts and enormous red velvet bows literally wrap up storefronts. It’s a time for parties, family, friends and the anticipation of a New Year. 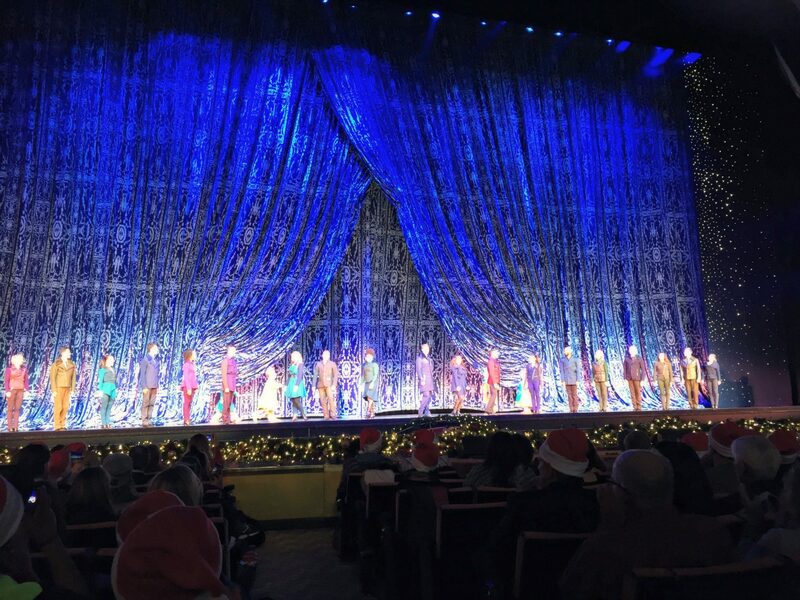 The Radio City Christmas Spectacular® opens in Mid-November and the famous long legged Rockettes® strut their stuff with Santa a few times at day at Radio City Music Hall. Tschaikovsky’s iconic Nutcracker Ballet takes over Lincoln Center with nightly performances appropriate for adults and children and the streets of Times Square along Broadway jam with families making annual trips to the city to see a show. Santa’s helpers erect booths around Manhattan (Union Square, Central Park, Bryant Park, Grand Central Station) where locals and tourists can find handmade jewelry, clothing and other crafts making great gifts for every member of the family. Hanukkah, the Jewish Festival of Lights, typically takes place in December. This year New York City claims bragging rights for erecting the world’s largest Menorah, a sacred candelabrum with eight branches for the celebration in Brooklyn and Manhattan. For the first night, concerts were held to mark the lighting of the first candle. Jews traditionally eat latkes or fried foods for Hanukkah to commemorate the miracle of the oil lasting eight days. Why not taste test CBS New York’s favorites latkes? My personal favorite is Veselka. There is something for everyone this time of year but the event that fills my heart with much joy and why I wish for everyone to visit New York City during Christmas is the lighting of the tree at Rockefeller Center Plaza. Traffic halts, nearly a million people line 5th Avenue and surrounding side streets and hundreds more hunker in offices overlooking the tree and millions of viewers tune into NBC and watch from home. It could be the excitement of the holidays or maybe it’s that I am sentimental but the enormity of the tree, plucked strategically from a neighboring forest year after year represents more than Christmas. The tree is perfect in shape and always a vibrant healthy color of emerald green. It gives me hope and each time I visit the tree, which I must admit is as often as I can, I am impressed by the positivity it brings to everyone maneuvering for photos. 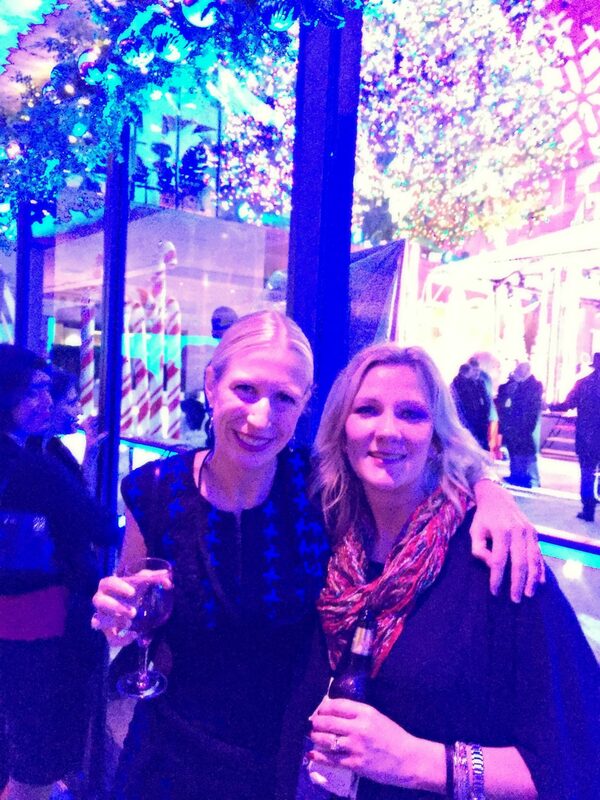 I’ve been fortunate to attend the tree lighting four times: The first time with my mother, the second with my dear friend Kelly from Australia, the third with my mother and father and last week with my childhood best friend Michelle. Each experience is different just like the multi-colored lights wrapped so delicately around the tree’s branches. The occasion is magical and I will never forget the joy in my mother’s face, the twinkle in Kelly’s eyes during her first trip to New York City, the tears filling my dad’s eyes when the countdown started and the lights illuminated the entire area and the laughter on Michelle’s face when I realized we were stuck and would watch the tree lighting through a window. I blame the red wine. 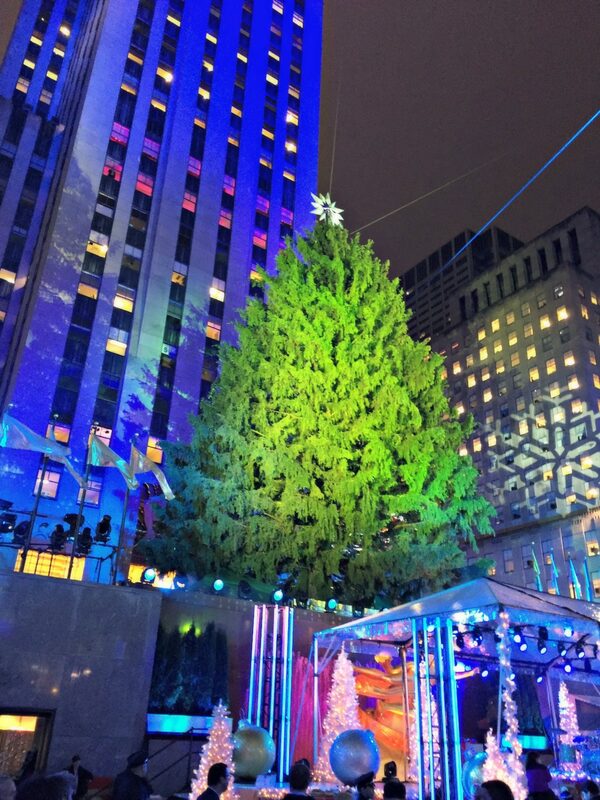 The Rockefeller Center tree stands proud and alive symbolizing love, sacrifice, courage and peace—it embodies the true meaning of Christmas and serves as a reminder for me to enjoy the holiday season and not get so wrapped up in buying presents. Whenever I have a visitor in town, I insist we brave the crowds and visit the tree together. Poor Kevin let me pose for photos, Annette and I celebrated our birthdays at the Sea Grill with a spectacular view and I am sure there will be others. I highly recommend a visit to New York City during the cold of November and December. You may want to consider packing your patience but it’s worth the time and memories you will create on your trip.